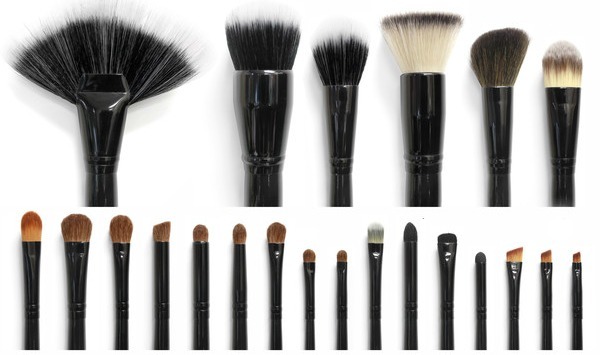 Makeup Brushes, they can cost anywhere from $1 to $80 per brush. Any makeup lover will tell you they take great care of their precious brushes, but they also do not want to spend an arm and a leg. 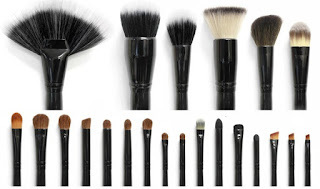 I am about to tell you my favorite brushes to buy, and which ones I stay away from as well. starting to show signs of aging. I use my brushes DAILY so they take a beating. 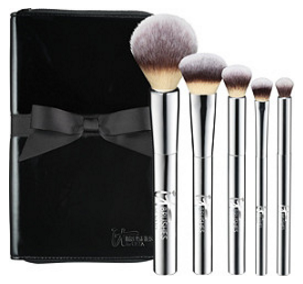 I recommend this set as a great one for a budding beauty guru, or someone who simply can not afford a super nice set. You can check out the aforementioned set here! These Brushes are ones that once you buy you will have forever. They have their regular line and a Velvet Luxe line, both of which are amaze! They are exclusive to Ulta Beauty but can be bought online through Ulta still. I have two sets that I usually recommend. The first is their Face & Eye Essentials Mini collection (pictured on the Left). This is because it is only $30 for 5 brushes. It is perfect for travel, and it has what even someone who does not wear much makeup needs. It's a great starter set. I also love the It Cosmetics Beautiful Basics Airbrush 101 set. It does have a travel case (like the others) but they are full sized brushes, so it is more expensive. The set of 5 is $58. 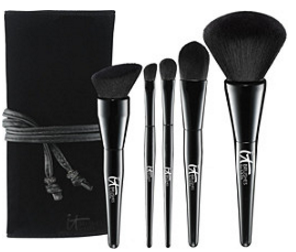 If you really want to treat yourself spring for the Velvet Blurring 5 Piece Ultimate Luxe Set. 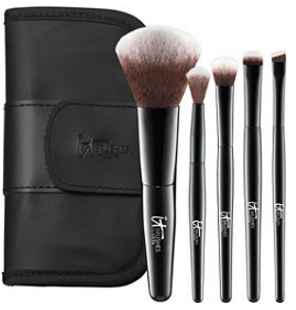 This set is made with their velvet brushes that are infused with velvet and satin. Not only do they last forever and work well, but they feel like your face is being kissed by angels! They are to die for, but are a true luxury not only in quality but also at their $98 price point for 5 pieces. These to me are the big no. Ulta brushes are worse than Sephora brushes. They fall apart and only feel good for about 4 months. The Sephora brushes however do not make it more than a year. They seem affordable when they are in cute sets with fun cases but they are really not a great buy. I'd stay away from these. The real techniques brand is great for someone on a budget (especially because they regularly go on sale for buy one get one half off at Ulta. 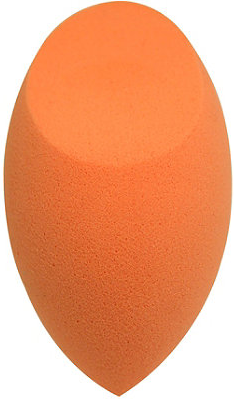 They have some great sets and their blender sponge is also one of my favorites on the market. However they aren't long lasting and if you just need basics I would spring the extra $10 and get the It Cosmetics Ones. Their Bold Metals collection is a true rip off, because the quality is the same but you are paying high end prices because they are shiny. Some other brands that I trust and have had great experiences with are Japonesque, Urban Decay, Smashbox, Tarte and Crown Brushes. Crown Brushes in my opinion are the best on the market. I love them all day. They are expensive and worth it. These other brands mainly make cosmetics but their brushes are great. I love Urban Decays brushes because they are all dual ended (2 for 1!) and I am obsessed with their contour brush ($26) which is pictured on the left. Smashbox has a super innovative 3 in 1 kabuki brush that really works, but can be difficult to clean, and is not great for anything outside of personal use ($42) an is the picture on the right. Japonesque brushes are a full collection that are worth their investment, and the new Tarte Tartiest Sculpt & Slim brush is giving my love for Urban Decay's a run for it's money. Some brands that I am not a fan of are Eco Tools, Morphe, Elf, Bare Minerals and Benefit. These brands have all made brushes that are either not worth the price, or fall apart quickly. Bristles come off, and the handles break off fast too. Some of them also create brushes considered innovative when they are really just impractical.